Starting with a new theme for this 2018 chapter, we are returning to our roots. Many things can be observed through the lens of lifestyle design, which gives us leeway to explore different topic varieties without alienating portions of readers. The piece you are about to read glues together geographical mobility, arbitrage living, and one of the most underrated corners of the world. The modern nomad, once a synonym for escapism, is now slowly becoming the western’s new role model of choice. By and large, the boom of the rental culture, the increasingly apparent spike in international travel, the sharing economy, all converge towards the same end – every society rewards those who are willing to move. Those who – at a minimum – are prepared to let go of superficial attachments, or neglect geographical restrictions, while drawing the contours of their life. Having said that, I must confess of being a hypocrite – with a blind desire for permanence, I’m losing opportunities left and right. But that’s a personal calculus I was willing to make, and I’m guessing you are not here to read about it. Young adults, people looking for a change or extended travel arrangement, freelance professionals, digital entrepreneurs… if any of these describe you even remotely, the article ahead is worth scrolling. The destination you are going to learn about probably slipped under your radar – so let’s recalibrate the gear, and look once more. With climate close to that of the Mediterranean, welcoming people, ridiculously low prices, colorful food and attractive nature sites aplenty, Macedonia sits in the center of the Balkan Peninsula. It is confusing, however – while looking at the pictures – to come back to the realization that it was shielded, decades perhaps, from everybody’s view. A predominantly mountainous region with colorful geography, Macedonia is home to over two million people. The census, however, like many other things in this country, is running late for about a decade – so take any numbers with a grain of salt. A former Yugoslav republic, it closely resembles most neighboring nations, even though running among the last in geopolitical and economic integration. The advantage that followed by circumventing the ex-Yugoslavian wars, was washed away by decades of political and economic neglect. Socialist measures, by and large, are running the show, and populism masked behind egalitarian policies is opening room for the ever hungry ruling elite. Things are slowly catching up to west-European standards, but one should always keep expectations low. Politicians, it seems, have their incentives skewed towards maintenance of the status quo, and when they try to move things in one direction or another, it usually backfires for the worse. Another confusion you are likely to stumble upon, is the name Macedonia itself. A diplomacy crisis is eroding the neighboring relation with Greece, keeping the communication unnecessarily hostile. A topic I am neither competent nor willing to delve deeper into. Know, however, that in light of this conflict, and tireless lobbying, the name Macedonia is somewhere replaced with FYROM (Former Yugoslav Republic of Macedonia). Also troubling to some is the ethnic divide embedded within society, between Macedonians and ethnic Albanians. But many people are irrationally fearful, since this divide carries less endorsement across the younger demographic. So with politics out of the way, let’s make a second introduction. The first reason why I’m recommending Macedonia as a top arbitrage destination (explained bellow) is dollar logic. It takes a while to convert prices in your head, and get used to the numbers, but then you are even more confused by how affordable everything is. When it comes to cost of living, measured from the bottom of the pack, Macedonia is somewhere within the lowest 20-30 countries in the world. The advantages, compared to the rest of the group, rest in democracy, respect of human rights, civil liberties, lack of violence, and similar basic qualities that make Macedonia part of the western civilization, as opposed to being part of the developing world. The statistical view on education, given the description above, is surprisingly high, as is access to internet, and most goods and services one can enjoy in western nations. You can easily move to Macedonia, and live a top 1% lifestyle with a below-than-average American salary. Even the lowest salary in the states can take you a long way towards living comfortably in the capital of Skopje. For young adults who have yet to figure out the path they are going to walk in life, Macedonia can provide a lot of leeway while developing a certain craft, learning a set of skills, or simply figuring things out within and between heaps of spare time. For freelancers or digital entrepreneurs, the math works out even better. The average Macedonian salary, given how most of the economy is dependent on the state, is around 400-600 dollars (depending on which statistical report you decide to follow). For foreigners, it makes a lot of sense to settle down and take advantage of this situation. So there is a clear mismatch between quality of life and cost of living – a unique gap that makes Macedonia some of the best destinations for arbitrage living. But let’s delve even deeper. Although unemployment is at its peak (near 30%), people are generally figuring things out via the unregulated economy. Some decide to work abroad for several months on end, supporting their families, while others pick up a craft and make a living under the regulative radar. The fake news campaign that occupied headlines across the globe, is a testament to how resourceful Macedonians can be. Teenage boys from the city of Veles, effectively capitalized on American naiveté, by running clickbait content on Facebook, related to the Trump presidency campaign for months on end. As I’m writing this, they are preparing for the next round of elections. Moving on, there is a huge number of people working in the public sector as well. And while many of them are professionals, a vast majority has adopted a more relaxed approach towards work, setting thus different standards from what you’d expect in the west. Leisure time is usually had aplenty, and there is much to spend it on. The sun is shining 300 days throughout the year, so outdoor fun is almost guaranteed – welcoming parks, long running lanes and more nature sites than you can count. Time goes by with good food and great wine, and the hospitality industry is offering quite a lot for the buck. If you enjoy dining out, this is the place where you want to be. Entertainment and art are also readily accessible, from tickets to the movies costing two to three times less compared to US, to attending a concert of the philharmonic orchestra which is more than twice affordable, again, when compared to US prices. Art and music exhibits are happening left and right, and there is no shortage of good events to attend. Macedonians are in a dire need for uniting under a sense of national pride, so it is easy to see why sport events enjoy so much popularity. When handball and basketball frenzy sweep over the nation, it is exciting to be around. Fun fact – Macedonians are pretty good at it! But let delve even deeper, providing a guide of sorts. 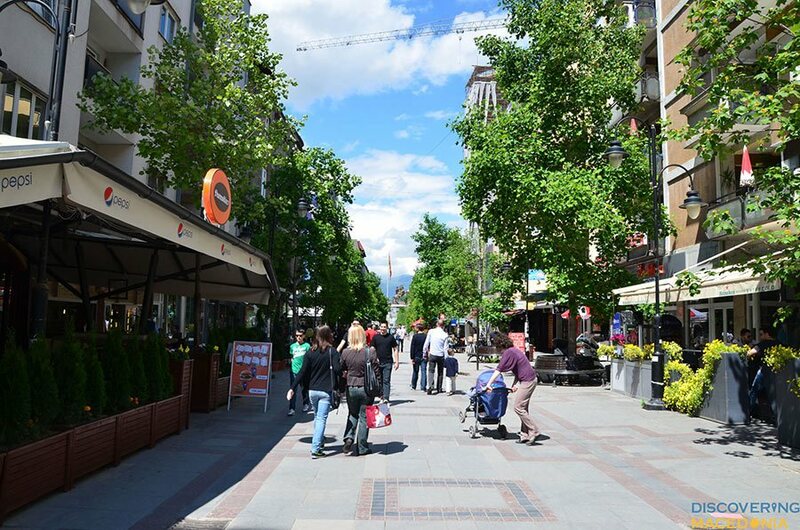 As the principal educational, business, and administrative hub, Skopje is home to one third of the population. The infrastructure is spreading in order to accommodate even more people, and the city feels like a proper metropolis. Popularized recently, over a controversial architectural undertake of mega proportions, Skopje is also known as the city of kitsch. Luckily though, only certain areas are affected by the overly ambitious central planning project, mostly around the center of the city. Fake Baroque and artificially manufactured Hellenic architecture are what describe it the best. Overall, things don’t look so bad. The traffic network is better than ever, and cycling lanes are covering much of the urban space. In a way, Skopje keeps pedaling along, trying to join most European countries. The city itself, apart from affordable entertainment and cultural events, doesn’t have much to offer. Food and locally produced alcoholic beverages are always here, but to a person like me, it doesn’t mean much. If the healthy lifestyle is your cup of tea, running lanes along the river Vardar are on par with what you might expect from a European metropolis. If you are here for sightseeing and different places to visit, only few such qualify. The Kale fortress is overlooking the city, and it is attractive enough to warrant a visit or two. The same goes for the Old Bazar, where artisan workshops, small family storefronts, and hip cafes are to be found in large numbers. The place still keeps much of its Ottoman charm, and it creates a truly captivating mix when injected with contemporary music and urban lifestyle. Note, also, that during the winter season the quality of air can become unbearable. Poor nationwide strategy, however, is only partly to blame. Macedonians, by and large, don’t put too much stock in environment as an important component of living the good life. Needless to say, it is costing them dearly. The pollution, though hard to measure by government agencies, takes its toll on wellbeing, the public health sector, as well as the entire economy. Winter comes, make sure to wear a mask! Or at least limit your exposure and cut down on your walks, effectively changing the way you commute. 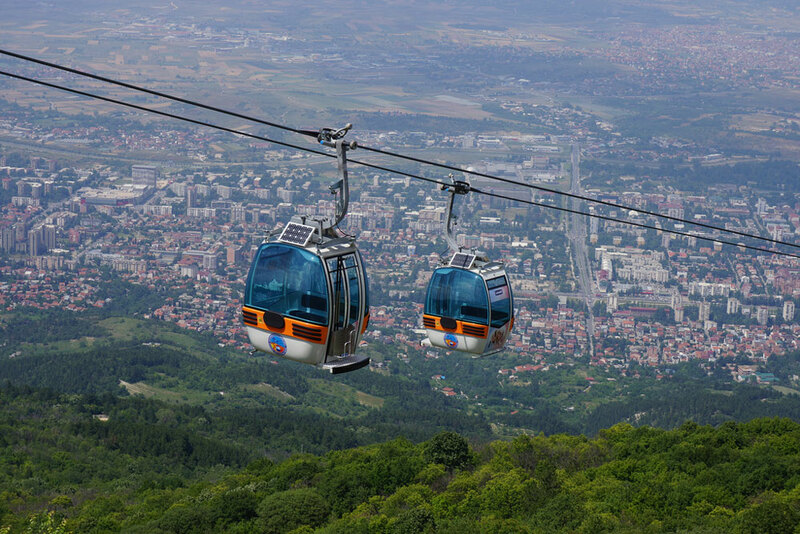 What makes Skopje enjoyable, according to a friend of mine, is its close proximity to nature. A fifteen minute walk will take you to the base of mount Vodno, which is one of the most picturesque park forests to be found near a city of this magnitude. With lush mountain flora, and breathtaking panoramic views of the city, Vodno can weigh in on your decision to stay a while longer. Hiking trails of various intensity climb left and right, and mountain biking routes cut through the forest creating captivating scenery. At the top, overlooking the city, a gigantic metal structure in the form of a cross, accessible even for those unwilling to endure the climb – the cable car is an attraction in itself, and riding it to the top and back is two dollars well spent. 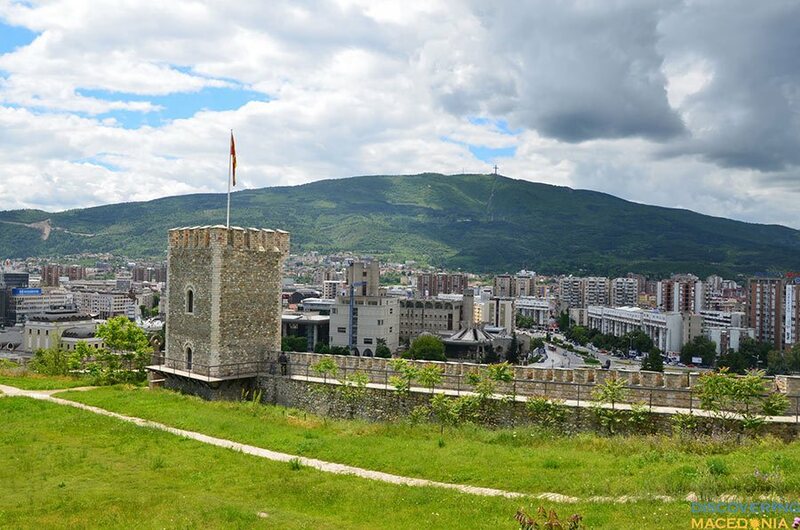 If you then decide to stay in Skopje, the dilemma is whether to pick a more affordable place, or one that is either very close to the urban jungle, or equally close to the base of Mount Vodno. Another site worth visiting is the Matka canyon. 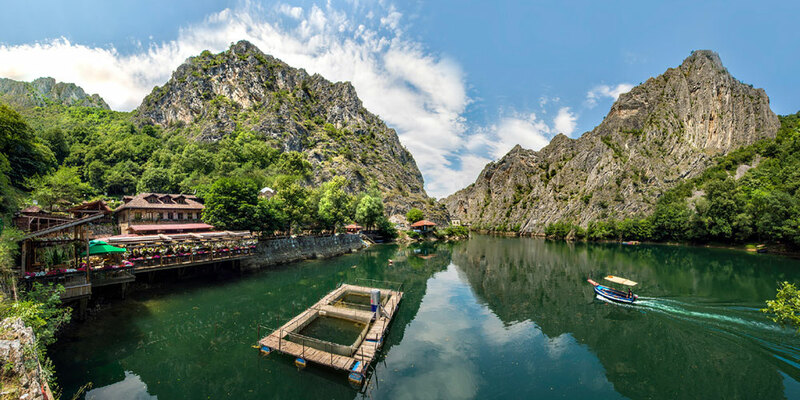 While breathtaking scenery is dotting the Macedonian map, Matka dwarfs everything else in significance. Very close to the city, yet featuring a surprising lack of noise, it is easily one of the most underrated attractions on the entire European continent. A natural marvel to stare at, it is filled with picturesque scenery, providing your camera with countless of angles to shot from. Next to the canyon entrance, a small church awaits, creating a monastic vibe. This archetype, if you take the pleasure of discovering Macedonia, repeats constantly. 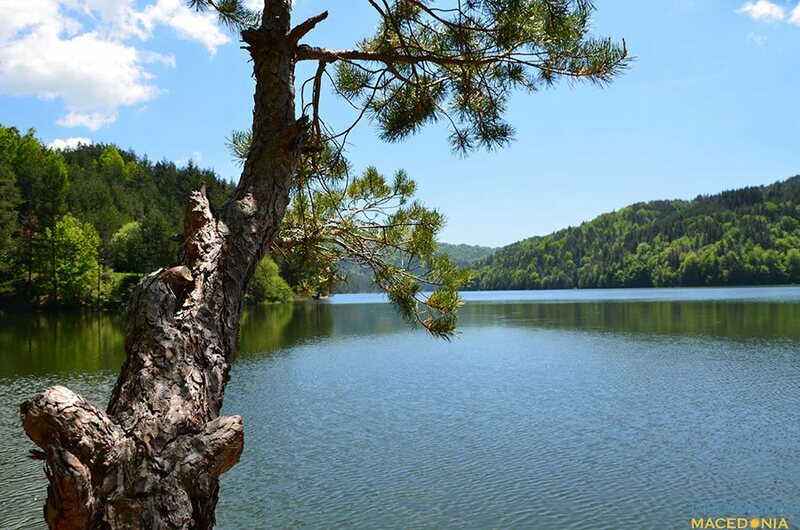 The mix is always between the old and spiritual, and breathtakingly beautiful – Macedonian characteristics that come more or less in tandem; something that nature enthusiasts will definitely learn to enjoy. You can endure the long hiking trail on the side of the canyon, or dip your toes in the crystal green water, staring at the steep but otherwise lush cliffs from below. A kayak ride is highly recommended, and it will be one of a kind experience to enjoy and remember. Also interesting for foreigners is the Roman Aqueduct. Arranging a visit is recommended, especially if you are into that sort of things. Though this is me venturing slightly into the realm of tourism – a place I’m not looking to arrive at with this article. Rather than one-visit wonders to enjoy, I’d like to present sites and activities that you can indulge yourself into, many times over, if not perhaps year round. So keep your eye on Vodno and Matka! But what if you decide to leave Skopje, and explore the rest of the country? Combining many things together, the Macedonian countryside is a kaleidoscope run wild. Having said that, I hope I’m able to give this unexplored paradise the extensive treatment it deserves. Starting proper, I’d recommend visiting few of the vineyards. Resembling the Old Italian hacienda, they are a tourist attraction on their own. Give priority to Popova Kula, but spare some time for Tikves and Stobi as well. Abandoning the valleys, you can turn your head towards the west, and look at the mountainous region. Mavrovo is my first recommendation! A place popular for being the weekend getaway, it is perfect for outdoor fun. You can spend hours just wandering around, doing nothing in particular. Tourist attractions like the postcard-worthy church and the Macedonian wild cat are also to be found. On the other side of the country, the small town of Berovo is another place worth paying a visit. 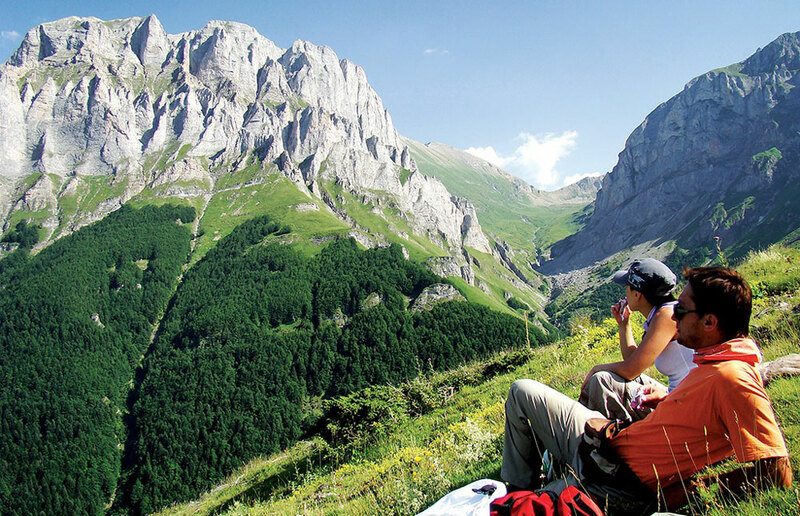 Warm people and traditional food aplenty, this is the best mountain retreat you’ll ever find. If you are into creative work and need solitude in order to fire up your gears, nothing better comes to mind. A fifteen minute car drive takes you up the lake, where you learn to appreciate the simplicity of this country even more. A picture, I believe, can replace a thousand of my lousy words. The cool thing about Macedonia, if you are an outdoor aficionado, is the seasonal shift. While I don’t have a picture of Berovo covered up in snow, you’ll have to take my word for it, and paint one in your head. When winter arrives, the scenery transforms, creating a number of ski resorts and nature sites to enjoy. 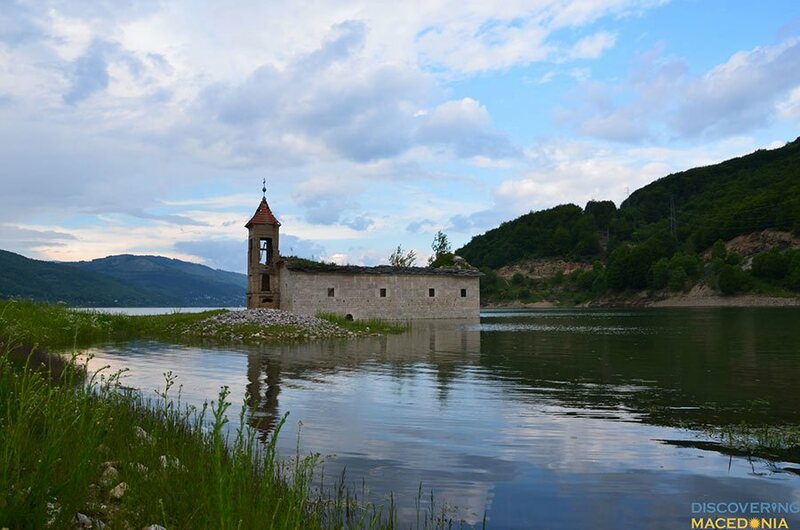 Returning to Mavrovo once again is highly recommended and paying Popova Shapka a visit even more so. Skiing down the slopes of the mountain, or cutting trails through deep snow and dense forest is a snowboarding experience of a lifetime. Home to over 25 lakes that are constant, and found in small but picturesque valleys, the Mountain of Shara is captivating indeed. Eagles, Falcons and Hawks are fairly common, and along with the abundance of fir and juniper trees, you’ll get a feeling of complete immersion, separated significantly from civilization and urban living. This is what makes Shara ideal for charting new trails, amidst dense forest belts and untouched wilderness. Other activities, in the spring and summer season may include paragliding over the hills of Krushevo, enjoying night festivals under the rich sky at the nature observatory of Kokino, or hitting a full day workout going over some of the most exciting mountain-bike trails. 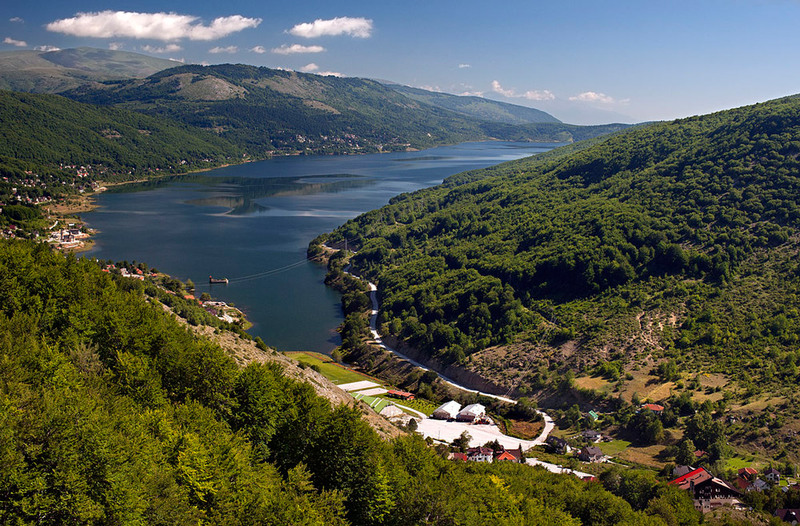 The road between Mavrovo and the isolated village of Galicnik is especially captivating. 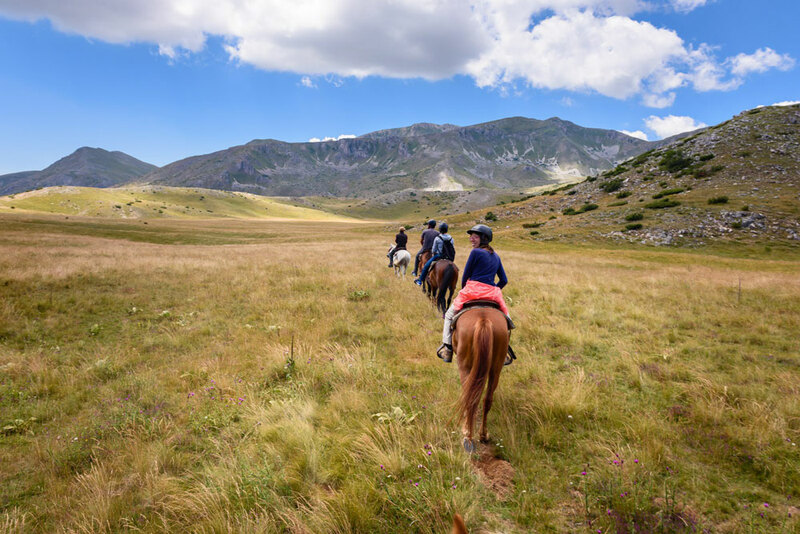 To demonstrate further how far your dollars can go, here is one fitting example – $25 will put you in the seat for a full day horseback riding tour, exploring the wilderness and villages around Mavrovo, tasting fine Macedonian cheese. How about that for an adventure on the budget? Food, however, is a separate story. Combining Ottoman influence with Slavic roots, Macedonian cuisine is nothing short of spectacular. Organic produce is used aplenty, mixing perfectly with juicy meat. The first couple of months, you will enjoy discovering a sensory overload of another kind. Order – and do so without hesitation – the following specialties: Ajvar, Tavce Gravce, Stuffed peppers and Pastrmajlija. 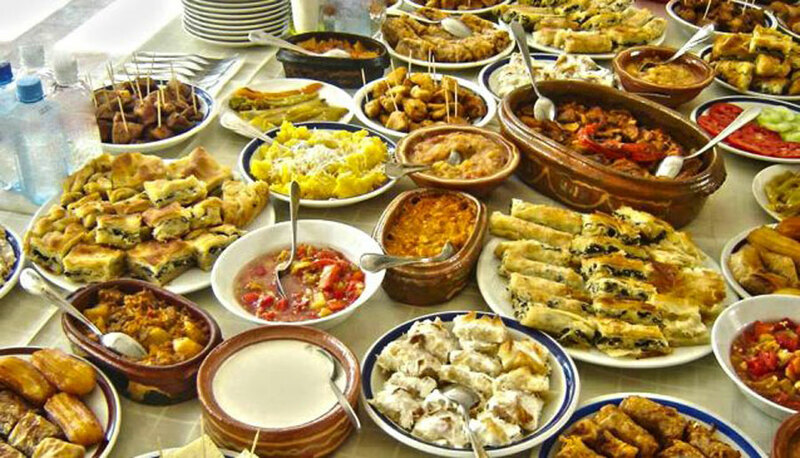 Additionally, make sure to taste Shopska Salad, Turlitava, Mousaka, Burek and Baklava. Most of these took birth thanks to neighboring cultural influence, and some are fine representations of foreign cuisines as well. If pastry is your thing, boy oh boy you are about to love Macedonia. The Balkan is famous for churning out different varieties of recipes, with Macedonian pies being somewhere at the top of the list. And tell you what – they combine perfectly well with dairy. So instead of cherry picking, try giving everything a chance – I mean why untie a knot when you can cut it with your sword? If it’s on the menu, it’s something you’d like to taste either way. 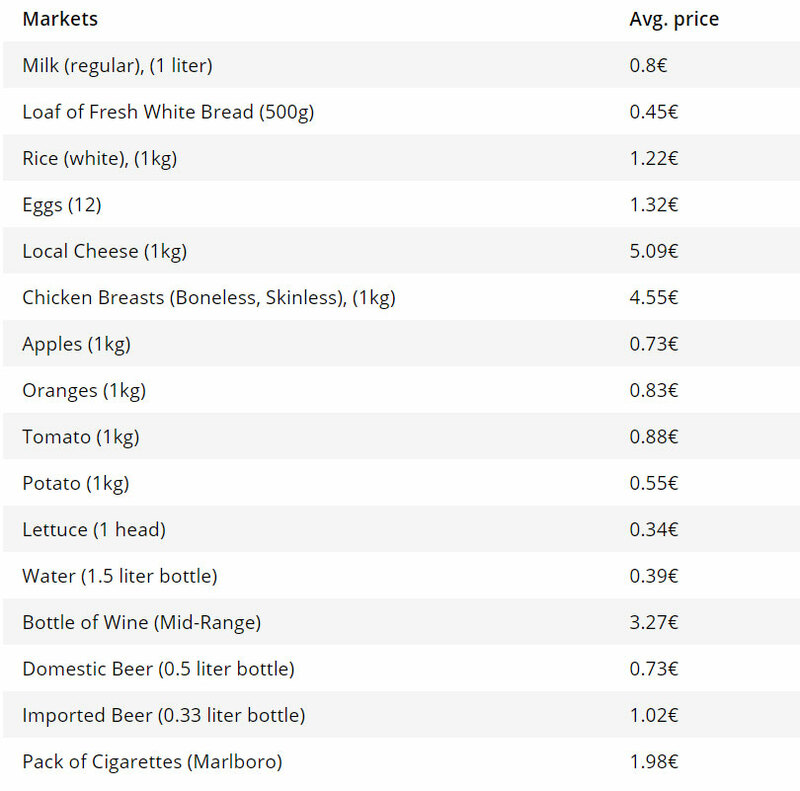 Alcohol being ridiculously cheap is yet surprisingly strong, with quality that is several bars above average. The wine, believe it or not, is even better. Though you will need herculean effort to catch up with Macedonians and their thirst for alcohol – a Slavic country, need I say more? Friday comes, and you can bet your bottom dollar that everybody will be having a drink. There is a rumor I’m too lazy to confirm, that Macedonian wine is being exported in Italy, from where they repack and sell successfully on the western markets. But even without that, the wineries here are having a blast, witnessing more acclaim by the year. 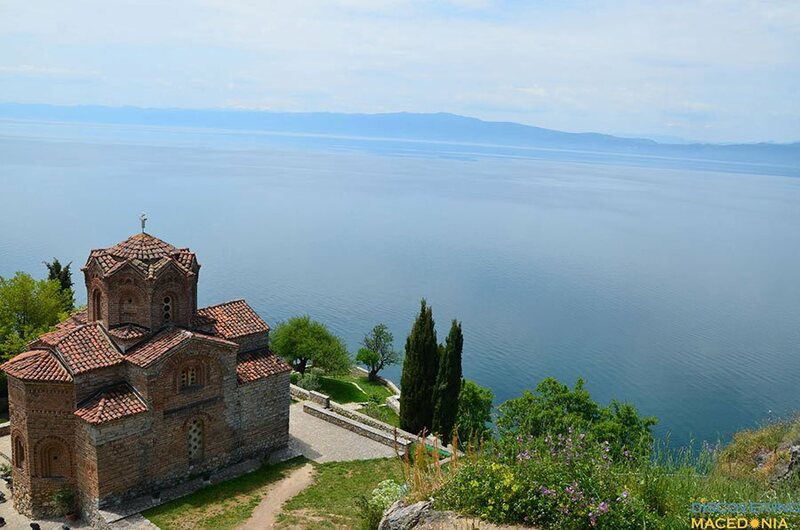 Ohrid is, within reasonable limits, the perfect summer holiday destination. Once the season is up, you can legitimately relocate, and enjoy at least one or two months near the lake. Listed as natural world heritage under UNESCO, the crystal blue water of the lake is there to please your sensory apparatus. So many sites to explore, and so many of them to enjoy! 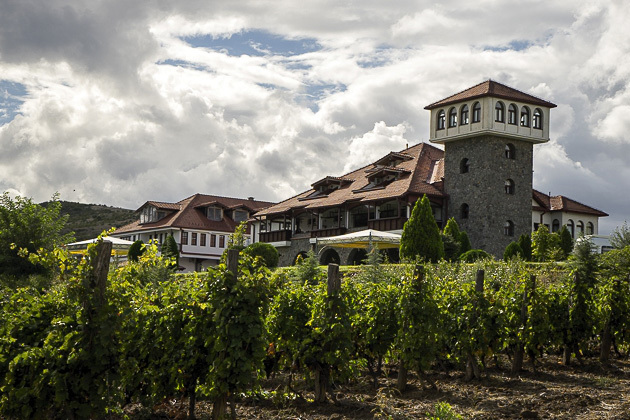 Titled as a spiritual cradle of the region, Ohrid is tightly connected to many things Ortodox Cristian. Dozens of monasteries and churches are scattered around the city and its outskirts, testifying for its glorious past. Some claim 365 of them existed at one point, analogous to having one per every day of the year. Now, you’ll find some of these religious objects transformed into artisan workshops and art galleries alike, keeping alive, once again, the spark of Macedonian culture. With prestigious classical festivals like Ohrid Summer, and native artistry like the Ohrid pearl, or even the Macedonian filigree, this city is the inspiration many people are looking for. 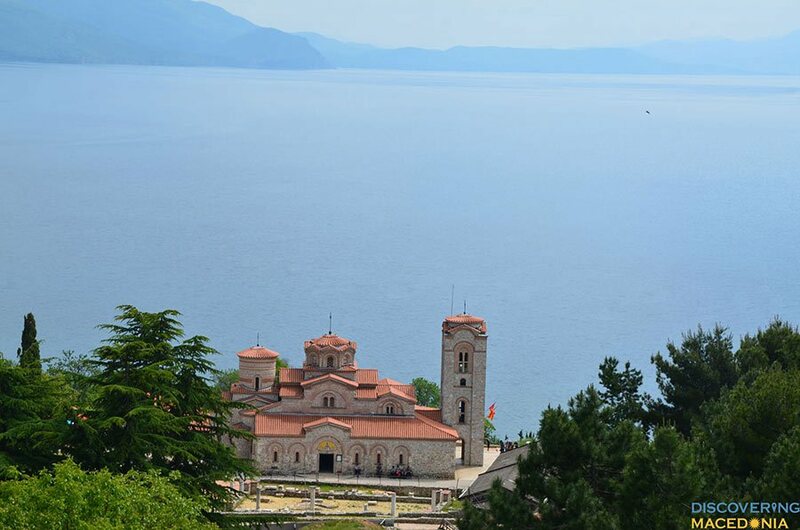 Visit, definitely, the monastery of Saint Naum, the Church of Kaneo, and Plaoshnik. In addition, learn to enjoy the nature around the city. Take a tour to visit the lake springs, in what is arguably the most captivating yet surreal setting. Arrange a dinner on a raft, looking at Ohrid from a distance, while all the lights turn up and glitter, illuminating the city. The food here is equally satisfying, and the standard of hospitality even higher. For outdoor enthusiasts, the neighboring mountain of Galicica can provide countless of hiking opportunities, and having the lake to look at makes everything much more enjoyable. 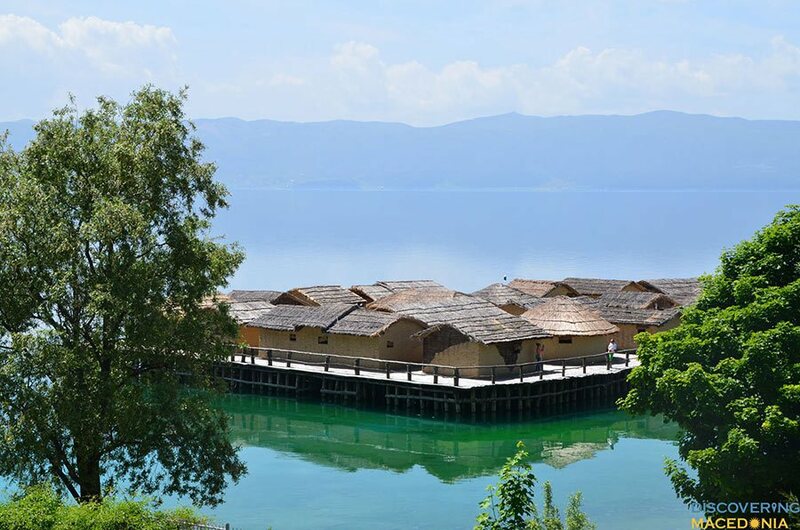 A tourist attraction through and through, Ohrid is definitely worth paying a visit. As you can see, relocating shop to Macedonia warrants consideration. Young adults, people looking for a change or extended vacation, freelance workers, digital entrepreneurs, and location independent professionals… if any of these describe you even remotely, Macedonia fits the arbitrage living arrangement better than most countries you’ll find. Sure, the winter season air pollution problem can be a real drag, and bureaucratic nightmares befitting an Easter European nation can make you wanna pull your hair off. And you have nice hair! There is also the infrastructure problem that has a way of creating serious glitches within the traffic network, and while enduring many of them require the favor of a benevolent god, enough practice can get you around. Additionally, investing in a business can bring serious unknowns in its wake, since Macedonian regulatory policies, and high-order financial laws tend to change quite often. For those with a short term necessity to relocate and kick start a new set of skills, or even a craft; for those who are willing to trade many things over a hedonistic lifestyle; for those who are generally ok with materializing their ambitions over a loosely defined timeframe… Macedonia has much to offer. If you are into arbitrage living, look no further!